The Walking Dead executive producer Robert Kirkman confirmed on Thursday at 2018 San Diego Comic Con that series star Andrew Lincoln will be leaving the AMC zombie drama. No details yet on how his character, Rick Grimes, will be written off the show. It's the end of an era for fans of The Walking Dead, as Andrew Lincoln is joining the list of stars leaving the AMC hit after Season 9. The actor, who has been the star of the show since its 2010 premiere, will exit one season after his onscreen son Chandler Riggs did. Lincoln plays former cop-turned post-apocalyptic badass Rick Grimes, and is one of the few original cast members still around on the show. Plus, what this could mean for her future with the AMC hit. Collider broke the sad news exclusively, revealing that the lead actor would depart the series for good during its upcoming season, which is currently filming. In the article, it is also revealed that Norman Reedus has been offered more money to stay on with the show and take over the lead role in Lincoln's place. 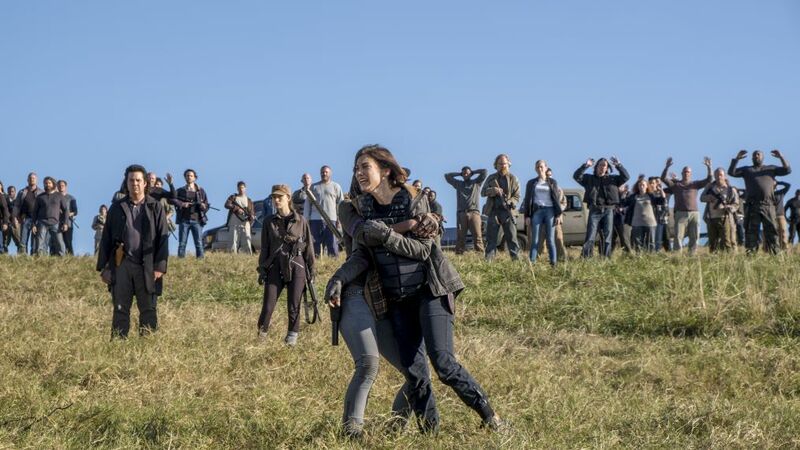 This news comes shortly after the revelation that Lauren Cohan's part as Maggie would be limited in the upcoming season, as she'll only appear in six out of eight episodes from the fall half of the season. While the details around Lincoln's exit remain a mystery, Collider did reveal that Lincoln will only appear in six episodes during Season 9's run. Seth Gilliam, Josh McDermitt, and more also share their reactions to the Season 8 finale. No word has been given on whether those episodes will all air prior to the midseason break or if Lincoln will stick around long enough to give fans an end of season farewell next spring. Either way, this news serves as a big shock to fans of the longtime series. Lincoln's departure is sure to take its toll on the many fans who were devastated by the loss of Riggs last season when his character, Carl, died. Hopefully, more details surrounding the actor's exit will become available as Season 9 approaches.